Glasgow-based artist and musician Luke Fowler will research the life and work of Martin Bartlett toward the production of a new artwork. Composer, musician and co-founder of the Western Front, Bartlett was a pioneer in the field of interactive computer music and established the music program at the Western Front. Experimental music has been the focus of several of Fowler’s documentary projects, which combine self-shot 16mm footage, specific to his chosen subjects, with archival material. He was nominated for the Turner Prize in 2012 and received the inaugural Jarman Award in 2008. 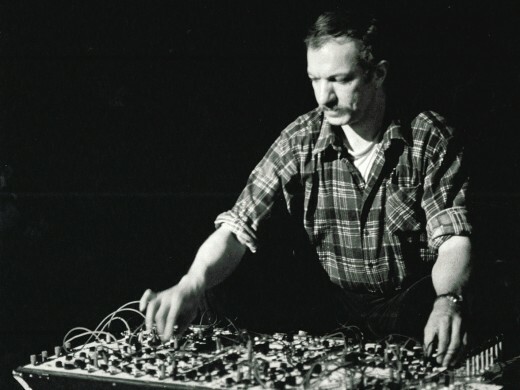 Martin Bartlett with the Black Box Synthesizer. Image is from the Western Front Archives.